What do veteran chefs from India and Mexico have in common? 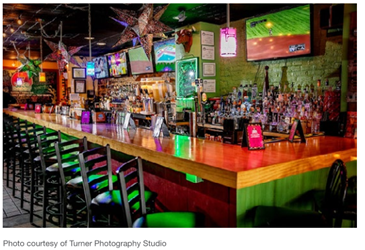 A passion for fresh authentic flavors, a shared philosophy and co-ownership of Taco Daddy Cantina & Tequila Bar, a crowd-pleasing Tex-Mex restaurant that delivers great food and fun for patrons of all ages. Inspired by his mother’s use of home-grown peppers and spices, Executive Chef Damian Portugez began his career at a small restaurant in Mexico City. Seeking a chef for a new venture, Founder Neel Kamal met Portugez eight years ago and the pair have teamed like family ever since. In February 2018, Taco Daddy opened its first full-service restaurant and bar in bustling, downtown Frederick, MD. A little more than a week after opening, there was already a 30- to 45-minute wait during peak weekend hours. Located about an hour from both Washington, D.C. and Baltimore, Frederick is nationally recognized for its high quality of life and compelling “hipstoric” character along with a strategic location and strong economy. The partners opened a second restaurant in nearby Gaithersburg, MD in December, 2018. Made-from-scratch specialties and high-octane margaritas are only part of Taco Daddy’s growing appeal. The restaurant transitions seamlessly from leisurely lunches to Happy Hour to the late-night crowd–sporting an expansive tequila selection and entertainment from salsa with a Latin-themed DJ to a strolling mariachi band.